Retail Industry Challenges, Digital Transformation | 8x8, Inc. | 8x8, Inc. I am excited to announce the launch of our new podcast, ‘Communications. Transformed.’ The podcast is dedicated to the future of enterprise communications. Whether you’re looking for strategic counsel on moving your communications to the cloud, improving your customer experience from “I don’t know” to “I got this” or to simply learn from industry thought leaders about what types of communication challenges companies face every day and how to solve them, this is the podcast for you. New episodes will be available every week on SoundCloud, Apple Podcasts, Google Play, Spotify and Stitcher. 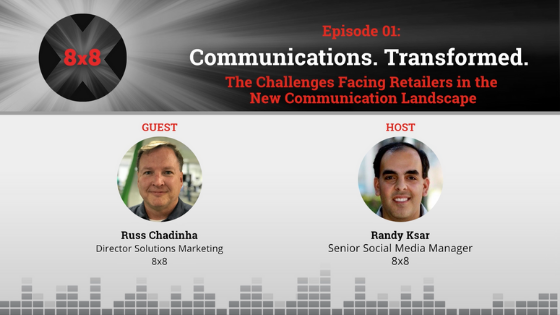 Our first episode focuses on the communications challenges retailers are facing. 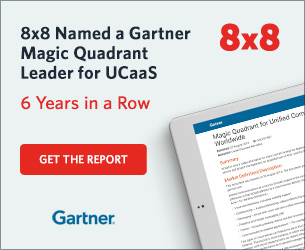 I interviewed my colleague, Russ Chadinha, Director of Solutions Marketing at 8x8. He has been talking to our retail customers and designing new ways for communications to support and accelerate their digital transformations. With the amazing amount of choice customers have today and their need for a personalized experience, the expectations on retailers have never been higher. Russ dives into the challenges these higher expectations create and offers recommendations on what retailers can do, using communications technology, to optimize every moment of engagement with their customers. It was a very interesting conversation from any perspective—as a consumer, as a retailer, or an IT leader responsible for your company’s communications system. You can listen to episode one below or on your favorite podcast player. 2:19 Get to know Russ. 4:02 Two topics driving a renewed emphasis on communications—customer expectations and speed. 7:23 Retailer expectations in regards to digital transformation. 11:24 How can retailers lower operational costs while improving communications quality within and between stores? 12:01 What actions can retailers take to increase associate productivity? 12:55 How can retailers increase the use of data-driven insights to enhance responsiveness and personalization? 13:41 How can communications technology help retailers create an omnichannel experience? 14:32 How can retailers maintain speed and agility to stay aligned with customer expectations? Russ: 00:00 Here at 8x8 what we’re trying to help retailers do is reinvent how they use communications to support their digital transformation, and what we mean by that, really, is customers now are looking for a different way to interact with retailers as part of that brand experience. They want to communicate using their channels, using their methods and retailers need to adapt to that. James: 00:28 You’re listening to ‘Communications. Transformed.’—a podcast from 8x8, where we interview the latest thought leaders and innovators who share their insights about the future of enterprise communications. Let’s get to the show. Randy: 00:43 All right, everyone, we are recording live in San Jose HQ. This is the ‘Communications. Transformed.’ Podcast. I’m your host, Randy Ksar from 8x8, and today we’re gonna be talking about retail, the challenges that retailers are facing and we have a special guest today, a co-worker of mine. 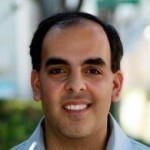 Russ Chadinha is Director of Solutions Marketing at 8x8, and he’s also based in San Jose. Welcome Russ. Russ: 01:11 Hey Randy, great to be here. Thanks for having me. Randy: 01:14 Of course. So we’re excited about retail as we’re going back to school, as the holidays are coming up, and retailers need to start thinking about what are some of the solutions to these challenges, and I know that you’ve been blogging a lot about it, as well as working with customers within the retail space, so tell people a little bit more about who you are and how you are working with retailers at 8x8. Russ: 01:38 Well, here at 8x8, what we’re trying to help retailers do is reinvent how they use communications to support their digital transformation, and what we mean by that, really, is customers now are looking for a different way to interact with retailers as part of that brand experience. They want to communicate using their channels, using their methods, and retailers need to adapt to that. So we’ve got to help them put the technology in place to enable them to do so. Randy: 02:06 So in order to get this podcast started and get everyone to kind of get to know Russ, we have some rapid-fire questions, usually we do this at the end but I think we’re gonna start with it at the beginning. So three questions, Russ, to get to know you, again these are rapid-fire, whatever comes to your mind, just spit it out, if it’s a bad word, we’ll bleep it. So to start off with – the last movie you watched. Russ: 02:28 It was last night, Mission Impossible. Tom Cruise does his own stunts, I’m still impressed by that, so it was fun movie, highly recommend it. Randy: 02:36 You’re not gonna do your own stunts anytime soon? Russ: 02:38 Not intentionally, no. Randy: 02:39 That does it, of course. All right, from a mobile perspective, top three apps that you use the most, and they can’t be email or messaging. Russ: 02:48 Deezer, not to give them a plug but I use them all the time, the Kindle app for my iPhone, absolutely all the time, and Google Maps I cannot live without. Randy: 02:57 Okay, well that’s good. All right, and then I always ask this to our guest, one thing that is not on their LinkedIn profile. Russ: 03:05 There’s a lot of things that are not my LinkedIn profile but one that isn’t there that I had a lot of fun with is I had some time at an advertising agency in Minneapolis. Kerri and Linda were the leaders of that, I have a lot of respect for them and what they were doing and really appreciate my time with those guys. Randy: 03:21 Cool, all right, well, there’s some info about Russ. So, Russ, let’s get into the topic of the day. This is part of a series that we’re gonna be exploring, How Retailers are Using Modern Comms Technology, and as they reinvent themselves as we’ve seen over the past … 2018 has been a very interesting retail economy change, and so what I’d love to talk to you about is communications have always been important to retailers that’s without a doubt, you go to a website, you go into the place of business. So from your perspective, has it changed in terms of retail and communications or are they both changed? What’s kind of going on? What’s the lay of land? Russ: 04:01 Yeah, I know, it’s a great observation, Randy, and that essentially both have changed. We won’t spend a lot of time talking about the disruption to retail, that’s a given, everyone understands that. It’s either an apocalypse or a Renaissance depending on what stock you particularly own, but really what we’re seeing is a quantum leap in communications technology and underlying those are two topics that are driving this renewed emphasis in communications. They are expectations and speed. Let’s start with customer expectations, and this one’s really about the ability to communicate in different ways, customers can use chat today, they can text, conversational interfaces. Russ: 04:45 Today already, I can order a pizza on Alexa. Randy: 04:48 Yeah, I know it’s crazy. Russ: 04:49 Is it not awesome? Randy: 04:50 Yeah, it is awesome. Randy: 04:53 Next year’s Super Bowl we’ll be definitely ordering pizza via Alexa. Russ: 04:56 As we all should, just phenomenal. And so, it’s this ability to interact and communicate with the brand on their terms, in their way, so that’s one of the big expectations that are driving these changes. The next one is really around context and content that are maintained across communication channels, customers expect this. Now they don’t make a distinction between where they started in the communication process, how they were engaged and where it ended, they just expect that the content and the context to be maintained regardless of it. I’ll give you an example that. Russ: 05:33 If you start from the website and they may initiate a chat, and then they may call the contact center agent, and then the agent may transfer them to the store. The customer expects that that content and the context moves along the journey so that they can avoid having to repeat any of the information. Randy: 05:49 Yeah, I mean I’ve definitely dealt with that myself and talking to support it’s constant, “Can I talk to your manager?” Then the manager is like, “Okay, what’s the problem?” You should already know what the problem is because you’ve been transferred, right? So it’s definitely something that is apparent across all verticals, all types of retailers out there. Randy: 06:22 Yeah, I mean from what I’ve learned over the years is that surprise and delight of course when they least expected as well is key to create that relationship, right? Russ: 06:30 Yeah, absolutely true. Randy: 06:32 Let’s take a quick break and learn more about 8x8. Speaker 4: 06:36 8x8’s communication solutions help businesses transform their customer and employee experience with one system of engagement for cloud voice, video, collaboration and contact center, and one system of intelligence on one cloud communications platform, businesses can now communicate faster and smarter to exceed the speed of customer expectations. For additional information visit www.8x8.com or follow 8x8 on LinkedIn, Twitter and Facebook. Randy: 07:13 And we’re back with Russ from 8x8 talking about the latest retail trends. So we just talked about consumers having expectations, Russ tell us about the retailers, they also have expectations, right? Russ: 07:23 Yeah Randy they do, especially when it comes to communications, and two things that are top of mind. First, their ability to track the customers journey across the communication touch points. They’re looking to understand how the website, the contact center and the stores are all being used by their customers. So it’s having this type of insight that will really help them create the experience that they want to reinvent. And then simplicity, make it easy for them to manage the communications, they don’t want their IT folks spending a lot of time writing IVR scripts or managing the phone system, they have better things to do. Randy: 07:56 Yeah, definitely. It’s definitely not top of mind, they want a platform, an infrastructure that is scalable, right? And that can easily without too much learning be able to implement in a very short amount of time. Randy: 08:10 All right, and then we talked about the speed, the agility, tell us about that particular factor. Russ: 08:17 Underlying that even is this idea of convenience. So as consumers we want things to be fast, but ultimately what we really want is it’s convenient which makes it fast. And my favorite example is my movie club app on my phone, I can quickly find what’s playing, find the show time I want, select my seats in the theater, reserve them and hit the buy button and it takes me seconds to do all of this. It’s really fast, it’s simple, it’s easy and retailers are getting good at this aspect, where we can help them with communications in this area of things like when you call into a contact center and they say, “Your next available agent, it will be in two minutes,” and 12 minutes later you still don’t have an agent on the phone, right? Russ: 09:02 We have some ways that we can help retailers in accelerating that engagement through things like contact center engagements. Randy: 09:11 That would be super helpful. I’m sure if there’s folks that are in the retail business, that want to chime in on this podcast, definitely hit us up on Twitter, that’s @8x8 and would love to continue the conversation there. We’ve been talking a lot about the ways that retailers need to innovate and need to marry the traditional with the new communications expectations that consumers have, tell us a little bit about the reinvention from your perspective with all the challenges that we talked about today, what are some of the things that retailers should focus on? Russ: 09:47 Yes, we think about in terms of communication. When we look at the broad topics that retailers are dealing with, you’re just getting that assortment right, that you’re trying to drive a profitable growth, things like capital reallocation so they can fund that digital transformation, these are massive things that they’re dealing with. Russ: 10:06 As it comes to communications, there are really five areas where we can help them, and it tends to center around that digital transformation. Hey, we can help lower operational costs and improve the call reliability and quality. We can do things like increase the store associate productivity. One of the other things that we have around communications is analytics that can help them increase personalization. We can create a more unified, omni-channel experience, and that last one is all around agility, the ability to move faster, retailers need to move faster. Randy: 10:41 What’s interesting about what you just said is that it’s not just about communications, right? It’s about their business, right? These are ways that retailers have businesses, whether you’re a retailer or not can actually change the way you do business and make yourself more successful. We’re talking a lot about a lot of different things here that can help your business, but if you focus on those key areas, I think that’s going to be pretty substantial on how you grow in the future. Just summarize, we’re not gonna go really in-depth into each one of these but let’s summarize each one and then as we talked about at the beginning of the podcast, this is a series and we’re gonna dive into each one of those topics in our future podcasts. Randy: 11:16 So let’s talk about the lower operational costs. Talk to us about the considerations around that. Russ: 11:23 Yeah, absolutely. Just to give a little taste of what’s going on here, questions like, can the cloud actually reduce costs? Retailers need to really take a look at that. Is maintenance taking up all the IT resource time? And do they really know how the store is performing? Especially in relationship to the contact center and the web. Really some key considerations for lowering operational costs while improving that communication experience. Randy: 11:48 Yeah, we talked about the store associates and increasing their productivity, we did a blog post on that on 8x8’s blog, but tell us about the considerations that retailers need to think about there. Russ: 11:59 The folks have a chance, it is really interesting to see customers want knowledgeable sales associates in the stores, but most of them think that they’re more knowledgeable than the store associate so we have some work to go do there, right? But one of the key things when we think about communications are, do we have these associates focused on the right things? Are they low value tasks or high value tasks? And what capabilities do they have in place to improve their performance? Are you understaffing or overstaffing is a simple example, and do the associates have the information they need to deliver the right personalized engagement? Randy: 12:35 Yeah, I mean store associates, sometimes it’s a hit and miss but I think if you empower them with the right knowledge I think that’s gonna be definitely key. All right well as we go on to the number three one that we’re talking about, the insights, love talking about a data-driven culture, but love to get your take on how this applies to retailers. Russ: 12:55 Yeah, they’re the most advanced industry in terms of gaining value from advanced analytics, and retailers tend to be pretty good in this area, and they’re moving forward in some really interesting ways around understanding intent, but when it comes to the communication piece, they have gaps in their analytics because they can’t capture all the data around the points through communications. So they need to be looking at how do you track that customer information interactions and how quickly are they ingraining best practices across the sales and services teams, and communications can play a strong role there. Randy: 13:33 Can’t wait to hear more about that, and then how does communications relate to the omni-channel experience? Russ: 13:39 I’m looking forward to talking about this one much further in the future episode, but if we get down to the statistics, customers are fickle. 82% as the research shows from [inaudible 00:13:52] trends report, they’ll stop doing business with a company after a bad experience, and wow! That is an amazing statistic. Randy: 13:58 Yeah, it’s impactful. Russ: 13:58 Yeah, can they achieve consistency through consolidation? Something to consider here. How can they progress that customer journey and are they ready for Gen Z, these youngsters want to be involved with the brand. It’ll be exciting episode that we talk more about this one. Randy: 14:17 Yeah, I mean they wanna buy a product but they also want to be a brand advocate, they definitely want to be a part of the whole process. And then, we talked about agility and speed, so that’s one podcast, part of the series that we’re going to do. Tell us about those considerations that retailers need to think about. Russ: 14:32 We often see that technology is stifling retailers ability to grow, and so how can we remove those obstacles, and then how quickly can they adapt to change today. Do they have the technology and the capabilities in place to adapt to a dynamic marketplace, and so communications can really help there. Randy: 14:49 All right, well, those are the five kind of sneak peeks at the series that we’re doing on retailers and this digital transformation. So, Russ, thanks for shedding some light on what to expect and some of the best practices that we see retailers doing that are successful. So, again, thanks for joining the podcast today. Russ: 15:08 Thanks Randy, it’s been a pleasure and I look forward to talking with you further. Randy: 15:11 Yeah, definitely. Well, all right guys, as always if you want to chat with Russ, hit us up on Twitter @8x8 and we’ll make sure to pass along the message and we can continue this conversation about retailers and digital transformation. I’m your host Randy Ksar, and have a great day.